Engineers and scientists are under ever expanding influences to obtain expertise in continually narrowing fields of study. At the University of Michigan, one of the largest and most respected schools of naval architecture in the world, graduate students may specialize in a variety of concentrations including: hydrodynamics; marine and offshore structures; marine system integration; marine robotics; marine design, production, and management; marine renewable energy; and structural and hydro-acoustics. 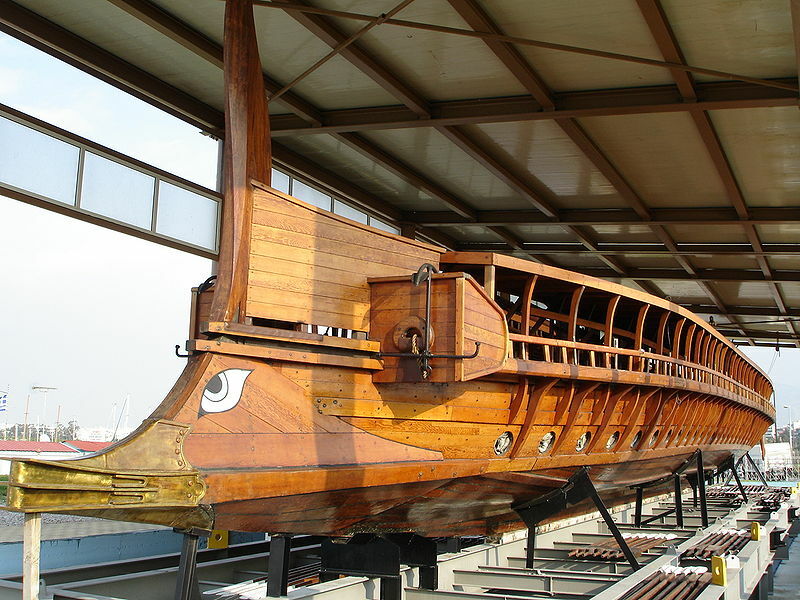 Naval architecture is itself a specialized form of the engineering discipline, so mastery in any one of the concentrations involves a great deal of learning about a relatively few things. At one level, this is good. As the sum of human knowledge continues to expand, no one can be a true Polymath; a person knowing a great deal about all the fields of academic study. There is simply too much information to be learned. A scientist or engineer who wishes to make significant contributions to his or her field of study will have to concentrate on some specialty narrow enough to be mastered and relevant enough to produce useful knowledge. However, I would entreat scientists and engineers to take at least a brief side trip through an academic field apart from their own. I would make this plead especially to those in technical fields whose work impacts national defense. Those professionals whose life’s work takes the needs of the warriors who defend our way of live and turns those needs into the products placed back into the warrior’s hands would do well to study classic literature. What do I mean by “classic literature”? I refer to those texts foundational to Western Civilization. The holy scriptures of Judaism and Christianity. The historical, poetical, mythological, philosophical and scientific writings of Greek and Roman civilization. I do not offer this suggestion for solely aesthetic reasons. While it is a fine thing in the middle of a cocktail party in your neighbor’s house to look around the room and utter Cicero’s quote “a room without books is like a body without a soul,” it will not improve the design of the ship, tank or fighter jet that is the object of your labor. Knowledge of the classics helps practitioners be better program managers, technical directors, and requirements setters. Here are three reasons why. A study of classic literature yields insights into human nature. This is important because all engineering is ultimately “human factors” engineering. Human factors engineering as a unique discipline is a relatively recent phenomenon, with professional societies devoted to its study appearing in the middle part of the 20th century. At its core, human factors engineering seeks to optimize the interaction of an engineered system with the people with which the system is designed to interface. Examples range from designing the driver’s seat of a car to be comfortable to designing a website interface to be intuitive to use. In our specialized world, human factors engineering is thought of separately from fields such as aeronautics, electrical engineering, or material science. However, everything an engineer does ultimately aims to have at least some effect on people. As Aristotle begins the Nicomachean Ethics, “Every art and inquiry, and likewise every action and pursuit, is thought to aim at some good.” The Greek word translated as “pursuit” is techne, from which we get the English word “technology.” Even 2500 years ago, Aristotle understood that technology did not exist for its own purpose but had to serve some purpose that a person had identified as good. Engineers need to appreciate what constitutes “the good” for the people their systems serve and a study of the classics is the best way to understand what is fundamentally good for people. An example I like to cite in the discipline of warship design is the concept of balance. 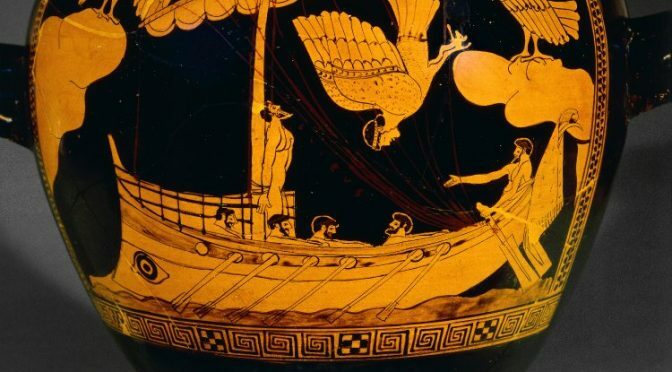 Just as Aristotle observed that virtue is often the midpoint between two vices, a good ship design must reach a balanced point between multiple competing priorities. If a ship is designed to be heavily armored, with very low vulnerability to gun or missile attack, it will by necessity be much harder to remove outdated equipment during its service life. In this example, a balance point must be found between survivability and reconfigurability. The whole point of Nicomachean Ethics is to inquire what is good, primarily for people; however, the concept of “the good” extends into the designed systems which serve people as well. Plato’s Republic, the Bible’s Book of Micah, Cicero’s De Re Publica, and Marcus Aurelius’ Meditations all offer different yet complementary insights on what is good for people. A modern engineer, schooled in works such as these, will bring a basic wisdom concerning human nature and the process for balancing competing demands to the task of designing systems to meet human needs. A study of classic literature yields insights into the societies in which an engineer operates. Imagine living in a society that is the exception for its times; a society that is both a democracy and a maritime power. Imagine further that this society depended upon freedom of and access to sea lines of communication in order to maintain its security and its economic prosperity. Picture such a society threatened by adversaries that are either dictatorships maintaining large standing armies or malevolent forces originating from Persia with religious beliefs so different from those of the society as to seem fanatic and bizarre. Aristotle’s Athens was just such a society. Any similarities between ancient Athens and modern states such as the U.S., UK, or Japan, should give one pause to contemplate how geography and human nature are eternal. While simple engineers see strategy as something that provides an input to their efforts, wise engineers knows that an understanding of the world and the society in which they life have a profound impact on the ultimate trade space available to them. A society that values human dignity and autonomy will constrain acceptable designs in the areas of safety and survivability in a way that would not be constrained by other societies. A wise engineer, tuned to the values of the society, takes this into account. When Plutarch wrote Parallel Lives, he sought to show how the human virtues and failings had manifested their consequences for both good and evil in the great leaders of Greece and Rome. Contemporary readers of Parallel Lives have the benefit of another 2000 years of human history with which to view these classical figures, yet, human nature continues to produce the same combination of achievements and failures as it did in the leaders of old. Pitfalls such as pride and anger still plague leaders gifted with extraordinary ability and awareness of our limitations is still a vital precaution several centuries after Plutarch. For engineers, the vice of pride could be especially deadly. The design of any complex system, especially a ship or aircraft, is the result of a great deal of teamwork and will require input from dozens of experts. An engineer that believes that only his or her way is right and is uninterested in listening to dissenting views is an engineer whose project is doomed from the start. Because collaborative design is a human activity, the other human vices; anger, sloth, envy, etc, all constitute real risk to a project’s success. Those involved in engineering the common defense in a representative democracy would be especially well served equipped with the understanding of humanity, especially their own humanity, which classic literature can provide. A study of classic literature yields insights into overcoming challenges. At the heart of the engineering discipline is solving problems. A customer needs the ability to do or have something and the engineer provides the capability or product. In the Bible’s Book of Ezekiel, there is a famous passage known as the prophecy of the valley of dry bones. In this story, God commands Ezekiel to raise an army from a valley full of dead, dry bones. However one views this passage theologically, from a practical standpoint Ezekiel shows tremendous engineering discipline. He started to sort and attach “bone to its like bone.” After the bones were attached, there came sinew and after the sinew came flesh. Like any good systems engineer today, Ezekiel started to solve a big problem by breaking it down into its component parts. The Book of John begins with the statement “In the beginning was the word.” The Greek word in the original writing that is usually translated as “word” is “logos,” from which we get “logic” which can also be translated as “information” or “plan.” One of the clear implications of the Book of John is no great feat can be accomplished without a plan. From the Bible’s telling of Nehemiah building walls around Jerusalem to the Augustan History tales of Hadrian’s Wall across northern England, classical antiquity abounds with difficult problems being solved with ingenuity, prudence, and courage. Here are three examples of how these ancient ancient virtues translate directly to the practice of modern engineering. First, as the modern management expert Steven Covey would say, “Begin with the End in Mind.” In two of the Biblical examples above, the Divine customer communicated a clear requirement. The course of actions in the stories that followed all flowed from that clear requirement. In all the most successful defense acquisition programs, from nuclear power, to the F-16 Falcon, to AEGIS, there was a wide and well-documented consensus on what was to be achieved. Those trusted to manage the design and procurement of these capabilities had those clear requirements to guide them as they made programmatic and technical decisions. Third, personal leadership is as much a part of an engineering accomplishment as technical excellence. The story of Nehemiah’s rebuilding of the walls of Jerusalem contains a fair amount of technical information about how high the walls were built and what material was used. Just as fascinating was Nehemiah’s story of bringing together the different talents and resources of the citizens of Jerusalem in order to get the job done. Today, we remember Admiral Hyman Rickover as a great engineer. That is true, but the management system and the different talent sets he brought together to make Naval Reactors a longstanding historic success is a legacy at least as worthy of study as the technical achievement of naval nuclear power. To my fellow engineers and scientists who work in the defense of our nation, I ask you take at least a brief periodic break from your computers and calculators. Pick up a good translation of Plato or Vergil as you read at the end of your day. You may grow to like the wisdom they offer into the human condition. In the end you will be far the better for it. You will have the power of the Polymath. Captain Mark Vandroff is a 1989 graduate of the United States Naval Academy. His 28 years of commissioned service include duty as both a Surface Warfare and Engineering Duty Officer. He was formerly the Major Program Manager for the DDG 51 program and is currently the Commanding Officer of Naval Surface Warfare Center, Carderock. The views expressed in this article are the author’s personal views and do not reflect the official position of the Department of Defense or Department of the Navy.